BATTING .500 TEAM OF THE YEAR: North Korea. They conducted their third underground nuclear test, sure, but without the seasoned tutelage they’d come to know and love from Kim Jong-Il, 2013 was doomed to be a rebuilding year for the scrappy upstarts from the Paris of Totalitarianism. Like so many other countries this year, they let their guard down and let VICE take over the entire nation. Akin to the too-young Los Angeles Clippers, time will tell whether this nation of passionate players can put together the fundamentals needed to run the table. THIRD PLACE RUNNER UP FOR THE FIRST ANNUAL “TOM LANDRY AWARD” FOR BEST DRESSED COACH OF THE YEAR: André Villas-Boas. It’s unfair to put a Premier League coach in here. This is like bringing Jon Hamm to your Junior year semi-formal and acting surprised when the committee puts a crown on his head at night’s end. Named the second best-dressed man on Earth by the British office of GQ, the Portugal-born capitan of Tottenham Hotspur also owns a dozen sports cars and five motorcycles, which is a turnoff. Twelve cars? You know how much scarf and bespoke money that is down the drain? Plus: caring about cars is dumb. Yeah, I said it. HUMANITARIAN OF THE YEAR AWARD: It’s been a year in which there’s been much talk about how we best protect our athletes, avoid serious head injuries, and give these talented stars the proper time and medical attention needed to recover and return to their profession. That’s why this year I scoff at all that measly charity work and “clothing the sick and poor” to celebrate That 3D Printer That Made a Living Ear Out of Collagen and Cells on Top of a Rat. You go, 3D Printer. You keep making them ears. Who knows what’s gonna happen out there? I may need extra ears. 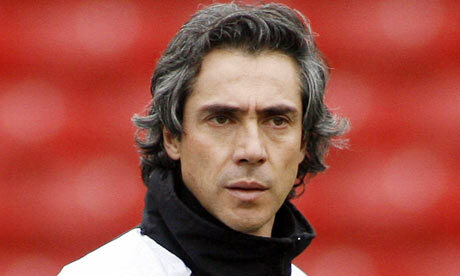 SECOND PLACE RUNNER UP FOR THE FIRST ANNUAL “TOM LANDRY AWARD” FOR BEST DRESSED COACH OF THE YEAR: Paulo Sousa, coach of Maccabi Tel Aviv FC. His team sounds like they should opening for Damo Suzuki in Dusseldorf, and Sousa himself resembles Martin Amis before he was fully pickled by booze. Look at this guy. He seems like he should be selling Terence Stamp a pistol in late sixties Rotterdam. He has a nice Geoff Dyer thing going on, and Geoff Dyer looks like he could coach soccer reasonably well. EXPANSION TEAM OF THE YEAR: Becoming the 28th member of the European Union at the start of July, the Republic of Croatia displays the ingenuity of Hall of Famer native sons Dražen Petrović and Davor Šuker. Prijatelji, čestitam! CLASSIEST RETIREMENT OF THE YEAR (TIE): 1) Mariano Rivera weeps openly to his fabled anthem, Metallica’s “Enter Sandman”. 2) Benedict XVI becomes the first Pope to resign his papal title in six hundred years while openly weeping to his own fabled anthem, “Bite It You Scum” by G.G. Allin and the Murder Junkies. 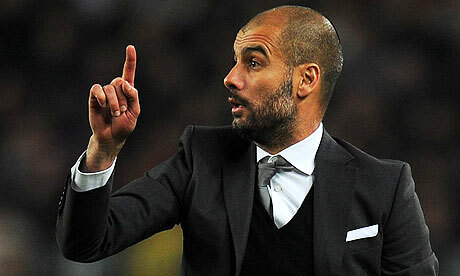 With great admiration, the first ever “Landry” goes to Pep Guardiola of FC Bayern Munich. While his name is better suited for a Pink Lady from Grease, the forty-two Guardiola is an astonishingly handsome Spaniard who looks like a minotaur comprised of Gerard Pique, Gael Garcia Bernal, and the fastest bull in Pamplona. The man not only has the best suits in the sports game today, he even has sharp short-sleeve numbers. He achieves all of this despite suffering from a condition known as “male pattern baldness”, a new disease onset by global warming. An inspiration to thinning pates worldwide, Guardiola’s rugged form and hands-on motivation shine as brightly as his stubbled forehead. 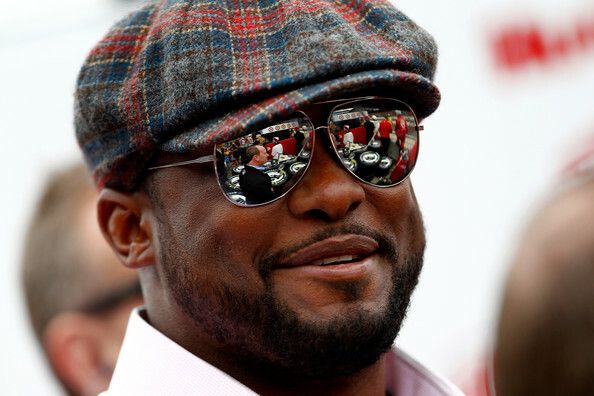 “LANDRY STOCK” GOING DOWN: 41-year old phenom Mike Tomlin, whose early seasons circa 2007-2009 decked out in Versace shades and tailored warm-up gear caused racists to confuse him with Omar Epps, and everyone else’s hearts to melt. Yet Tomlin has sported one too many sloppy gray Belichick sweatshirts this season, a testament to the notion that we all dress for the job we want, as Tomlin’s Steelers fell this week to 5-8. A $100,000 fine and loss of a draft pick incurred for prancing on field and waving his arms like some Midsummer Night’s Dream sprite during a Thanksgiving showdown is sure to cut into Tomlin’s sunglasses budget. Reebok used to design Jack Del Rio custom suits: where art thou to the rescue, Louis Vuitton? Bringeth the baggy-yet-regal sweaters, Alexander Wang. Your nation needs you. DEARLY DEPARTING SPORTS TALK RADIO OF THE YEAR: The Best Show on WFMU. Any listener knows the Best Show’s many virtues. After next Tuesday the 17th, the airwaves will feel a lot lonelier. 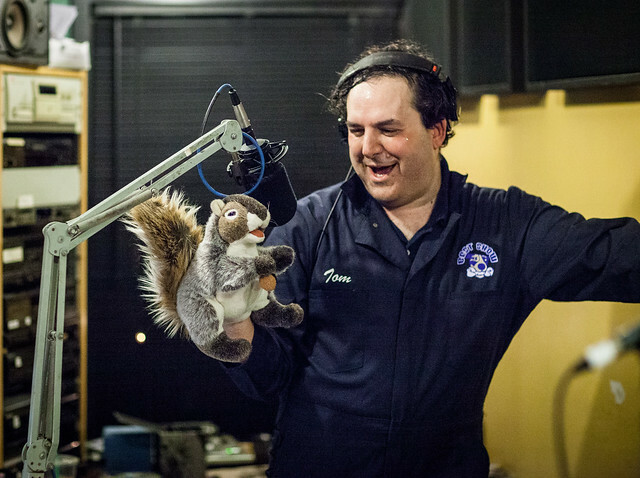 Tom Scharpling, the Best Show‘s host and former contributor to Inside Stuff magazine, covered every topic under the sun in his program’s distinguished run as the funniest media produced anywhere on Earth. But Tom was rarely better than when he was passionately dissecting his love-hate relationship with the NBA. Like pro basketball itself, the Best Show is a tongue-in-cheek satirical celebration of egotism, and Tom’s grandiose modesty shares a kinship with the faux-narcissistic humble madness of everyone from Rasheed Wallace to Kobe and Lebron. Scharpling’s evisceration of vain goons like Stephon Marbury and Nick Van Exel were perennial delights, and will be sorely missed. One can only hope that Tom’s retirement from WFMU will afford him more time to harass his fantasy league foil Bethlehem Shoals on Twitter, and pen more pieces for that weirdness-in-sports catacomb The Classical. 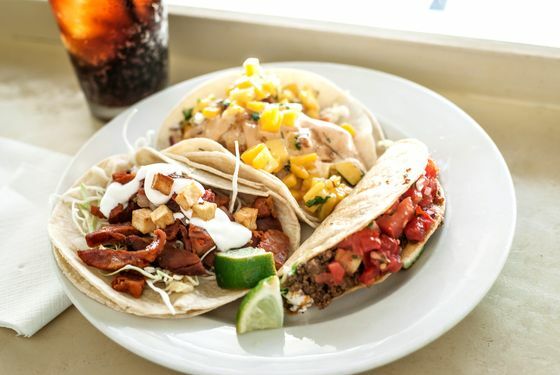 BREAKOUT STAR OF THE YEAR: Calexico goes from being “just another place in Greenpoint getting in the way of me and a slow Pierogi death” to “the best thing to eat at Barclays.” No analysts saw this coming: Paul George had more fanfare than these nuanced tacos of fresh garnishes and balanced umami sensations. There has never been pico de gallo so tight in a Northeast stadium, and there may never be again. Live in the spectacular now. Runner-up: Brook Lopez. MOST VALUABLE PLAYER OF 2013: You, the Devoted Spectator. Neither I nor the athletic achievers could have thrilled you so hard this year without your continued support. While TIME Magazine totally already had this idea in 2006, no one could have predicted how solipsistic a nation we’d become. You’ve been at the top of your game this year, You. Wag your foam finger, loud and proud. And put that foam finger on Instagram too, while you’re at it. 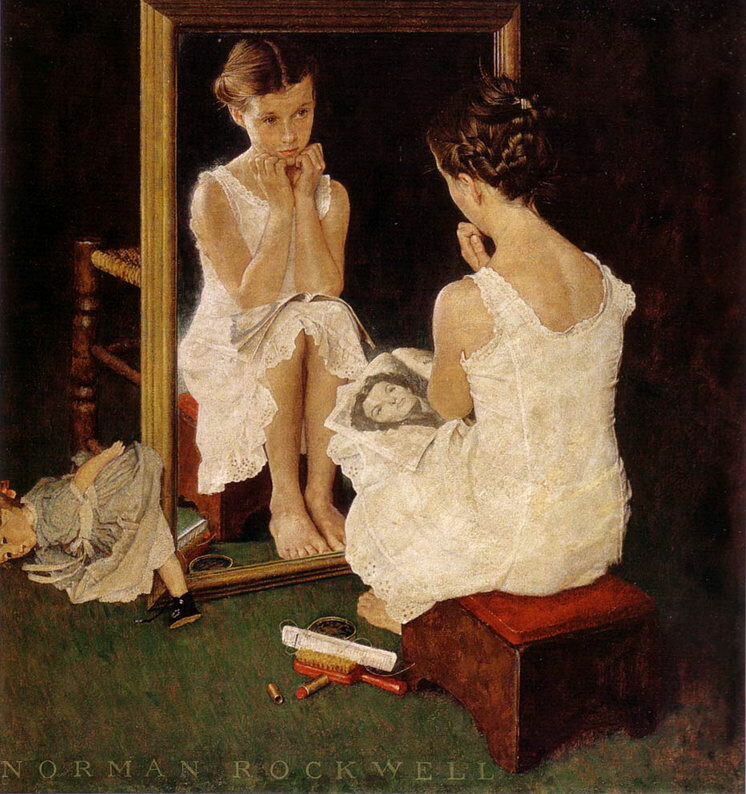 How else will everyone know how great you are?